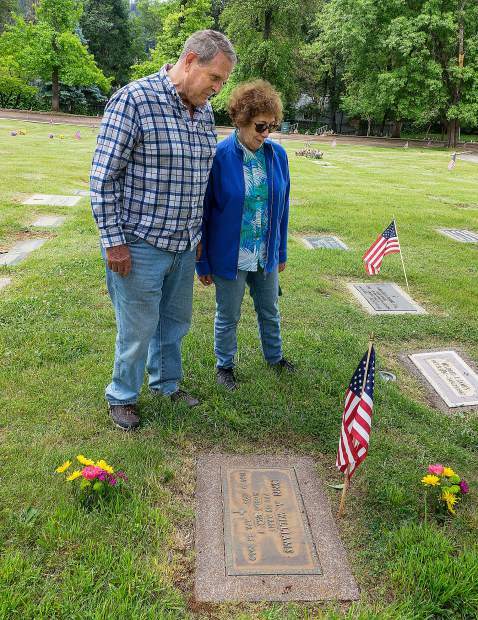 Jack and Marie Personeni Stillens tend to the grave of Lynn Williams, a U.S. Army veteran who served during World War I, at New Elm Ridge Cemetery on Kidder Street in Grass Valley. Marie Personeni Stillens also placed hearts at the resting place of her family member, Donald Personeni, Saturday morning. 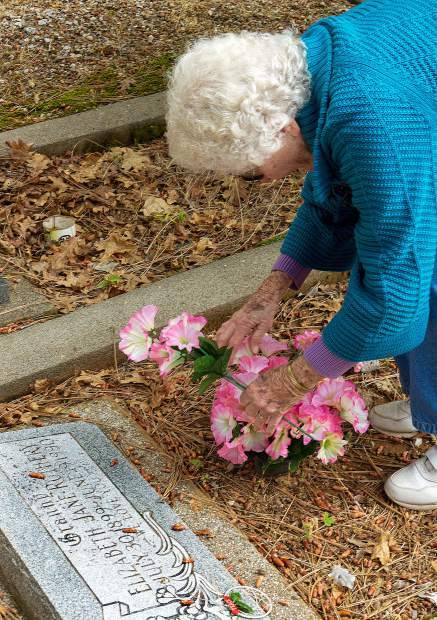 Irene Flynn came from Ukiah with family to visit the grave site of her mother, Elizabeth Rothery, at Greenwood Memorial Gardens on Rough and Ready Highway Saturday. 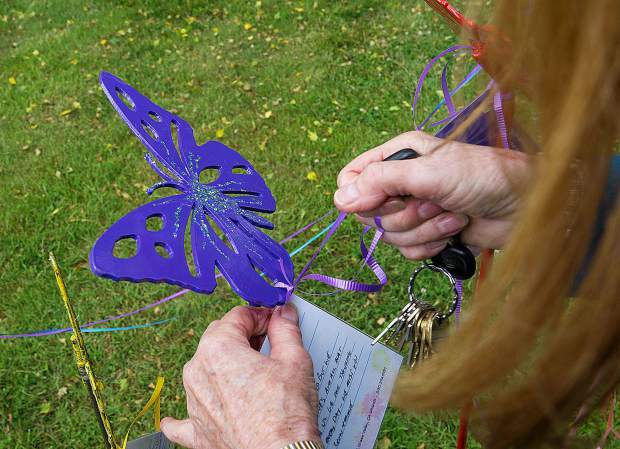 Sandy Blake of Friends of Hospice adds a memorial card on a butterfly, Saturday morning. 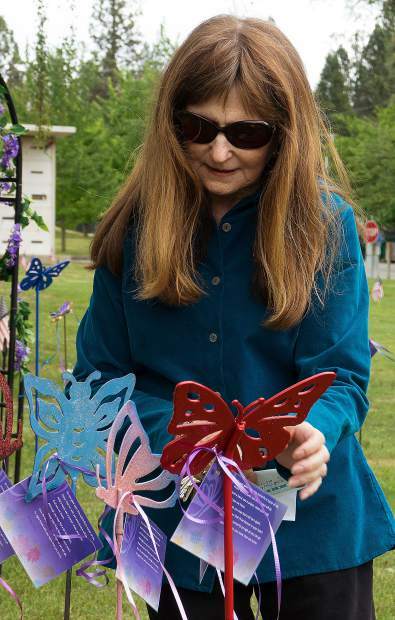 During Memorial Day weekend, the Friends of Hospice Butterfly Garden is presented at Hooper & Weaver Mortuary on Hollow Way in Nevada City. The garden, in its 18th year, is open 10 a.m.-4 p.m. Monday. 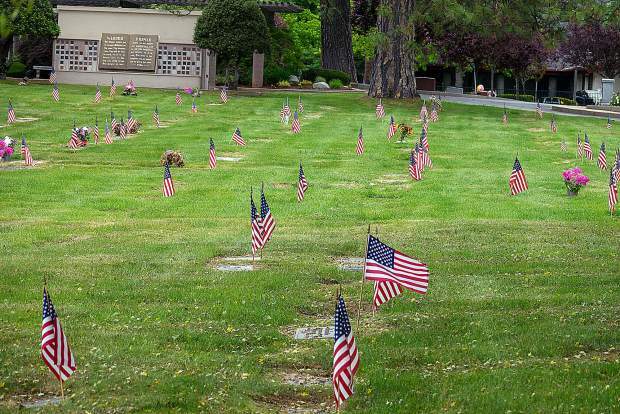 American flags acknowledge each veteran's grave at Hooper & Weaver Mortuary on Hollow Way in Nevada City. 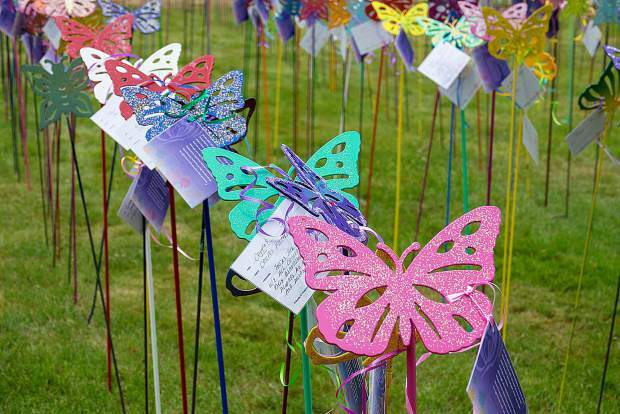 More than 500 buttlerflies adorn the garden at Hooper and Weaver Mortuary, a memorial tradition for the past 18 years. The Butterfly Garden remains open 10 a.m. to 4 p.m. Monday. 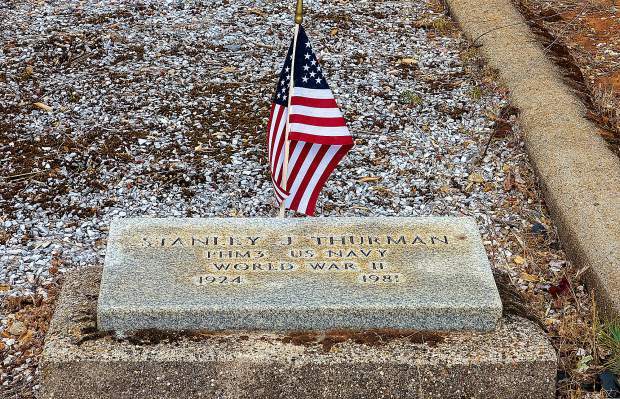 PHM3 U.S. Navy veteran Stanlev Thurman served his country in World War II. He is laid to rest in the Greenwood Memorial Gardens on Rough and Ready Highway, Grass Valley. 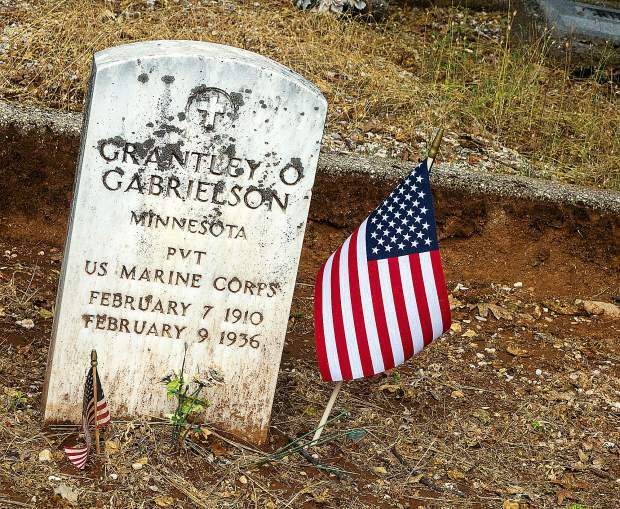 U.S. Marine Corps veteran PVT Grantley Gabrielson's gravesite at Greenwood Memorial Gardens on Rough and Ready Highway in Grass Valley. 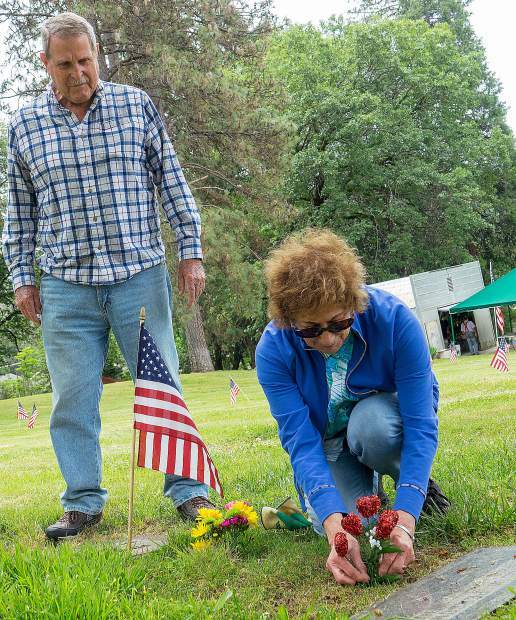 Memorial Day weekend brings many families to the cemeteries in the Grass Valley and Nevada City area to clean up the grave site of loved ones, decorating with flowers and placing American flags at the headstones of our nation’s veterans. 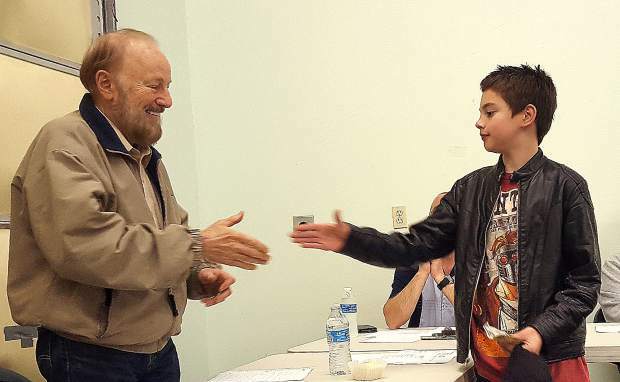 Today’s events include a 9 a.m. ceremony hosted by the Veterans of Foreign Wars at Pioneer Park in Nevada City, followed by an American Legion ceremony in Grass Valley, at 11 a.m., at Memorial Park, which will include a barbecue lunch at noon. 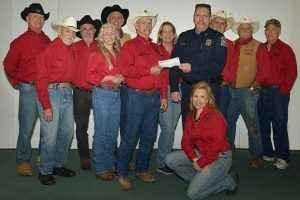 The Local Heroes’ Memorial Bridge Tours, organized by Blue Star Moms, and an annual bike tour led by Tour of Nevada City Bicycle Shop on behalf of the Nevada County Consolidated Veterans Council, will also once again be offered today. The bike tour begins at 9:30 a.m., after the ceremony in Nevada City. 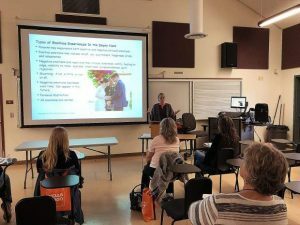 The bridge tours begin at 1 p.m. in Grass Valley, on foot or by bus.